The fog covering the mountain peak Walberla is clearing, revealing a view of fruit trees, fields and villages. ‘The landscape reminds me of Mount Lofty in Australia,’ says Ben, a computer scientist from Adelaide. He stands next to eight young researchers from Estonia, Australia and Mexico. 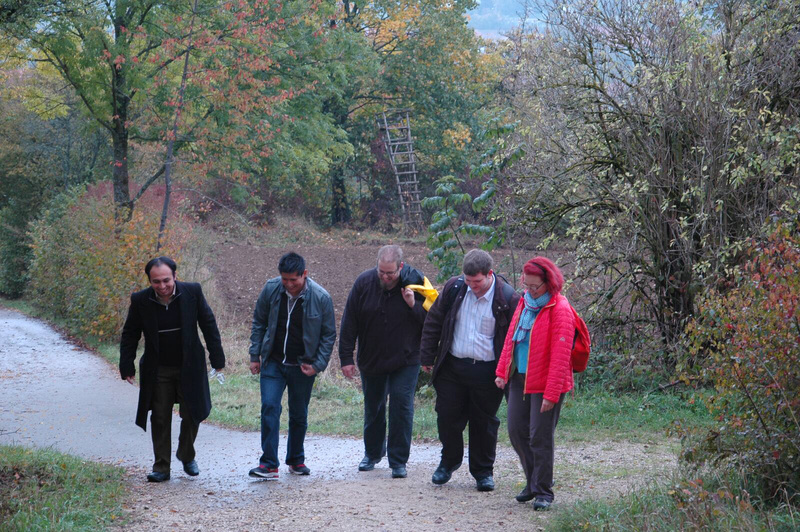 Slightly exhausted from the ascent, they are enjoying the view of Franconian Switzerland. Why is a group of researchers from around the world climbing the Walberla? 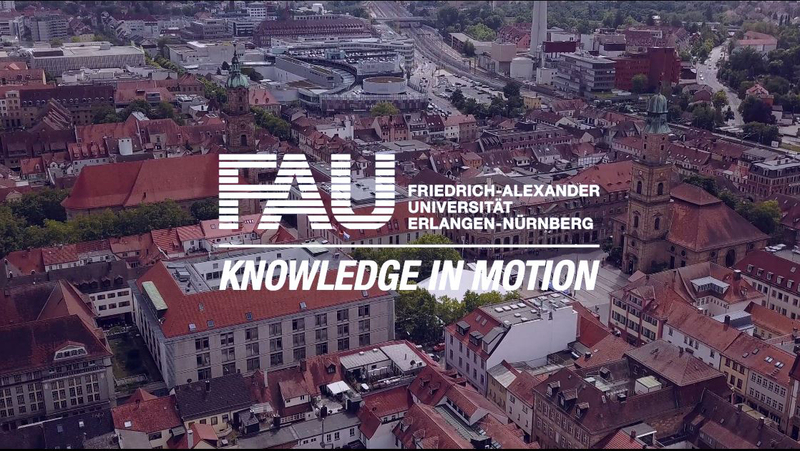 They found the best and most efficient solutions for research challenges set in the context of the FAU Open Research Challenge. The main goal of the contest is to give young, innovative researchers from around the globe an opportunity to set up research collaborations with each other. 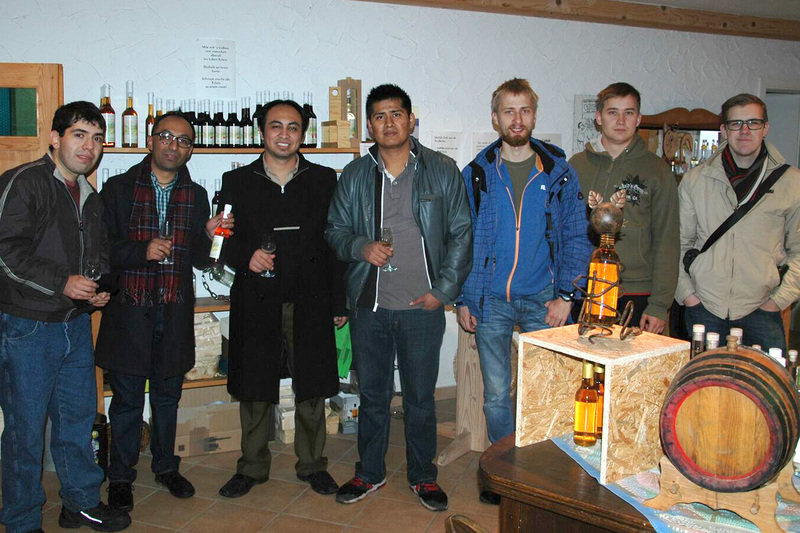 The winners are invited to visit FAU and the Long Night of Sciences, and what better way is there to introduce young international researchers to the region than by taking them on a trip to the distilleries open day in Franconian Switzerland, including lunch and hiking? ‘Rather strong, but delicious. I didn’t know that you can make schnapps from hazelnuts,’ says Roland after drinking his first glass of the Franconian speciality. Roland, Andreas and Ants are optical specialists from the University of Tartu in Estonia. They were the most cunning money forgers in the Open Research Challenge. ‘We had to decipher the design of security holograms on banknotes, copy it and alter it to show a different monetary value,’ explains Andreas. The computer scientists illustrated the data and variables, such as the electricity fed back into the system when the trains brake, in a mathematical model – an impressive achievement for a system consisting of more than one hundred trains and stations. They calculated the requested timetable using a suitable program. ‘It was a very interesting task. Maybe our results can be used in other systems such as the underground network of Mexico City,’ says Sergio. After a typical Franconian lunch with Schäuferla, sauerkraut and dumplings, the researchers climbed the Walberla, starting in Kirchehrenbach, visited three distilleries and went on to Wiesenthau. 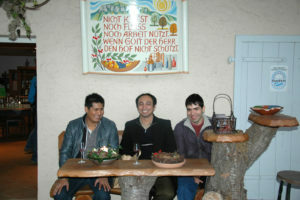 They were impressed by the Franconian specialities and the beautiful countryside. ‘The roast pork was delicious but too heavy. I didn’t manage to eat it all,’ says Sergio. 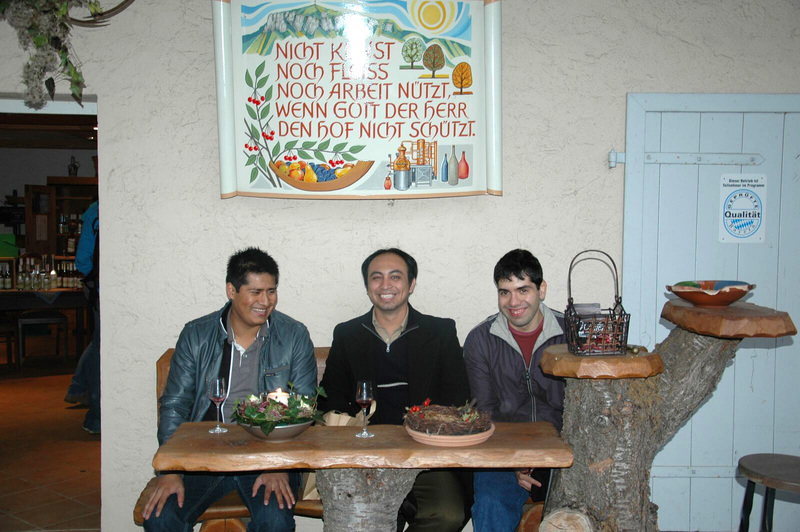 During their stay, the researchers will not only be introduced to the culinary specialities of the region but also get to know to the respective disciplines, laboratories and researchers at FAU. They will travel to Munich and Nuremberg and present their results at the Long Night of Sciences. Who developed the tricky tasks? The winners of the Open Research Challenge are all ‘especially looking forward to meeting those who came up with the tasks’. ‘We hope to set up some form of collaboration,’ says Galberto from the Mexican team, ‘An exchange programme maybe.’ The young researchers are also excited about getting to know the culture of the region. ‘Nuremberg is the city of Albrecht Dürer. I am keen to see what the city has to offer in terms of art. Furthermore, I would like to see places of historical significance, such as Sitzungssaal 600,’ says Roland. 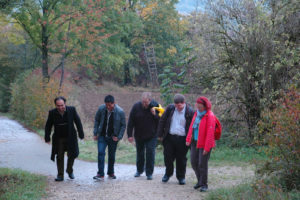 Further information on the Open Research Challenge is available at www.openresearchchallenge.fau.de.